The Boulevard leads the way in digital technology, and was the first drive-in theater in the world to install digital sound. 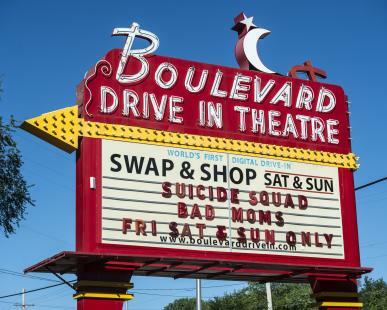 Boulevard features newly released movies and on the weekends the drive-in turns into a Swap N' Shop. Shop for fresh vegetables, antiques and goods.